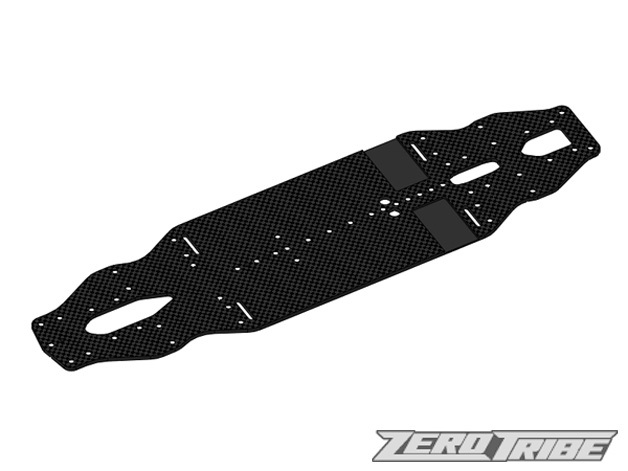 This product is domestic carbon main chassis (hard type) for XRAY T 4 ’18. The shape and the hole position were the same as the original chassis, and a new 2.4 mm thickness was adopted. By improving rigidity and lowering the center of gravity, it is the characteristic between the standard type carbon chassis and aluminum chassis. It corresponds to all conditions by sharing with the upper deck of 1.65 mm and narrow type upper deck.